Spring seems to be arriving in fits and starts here in the Northeast, but the sunlight and budding trees are making me crave spring produce. 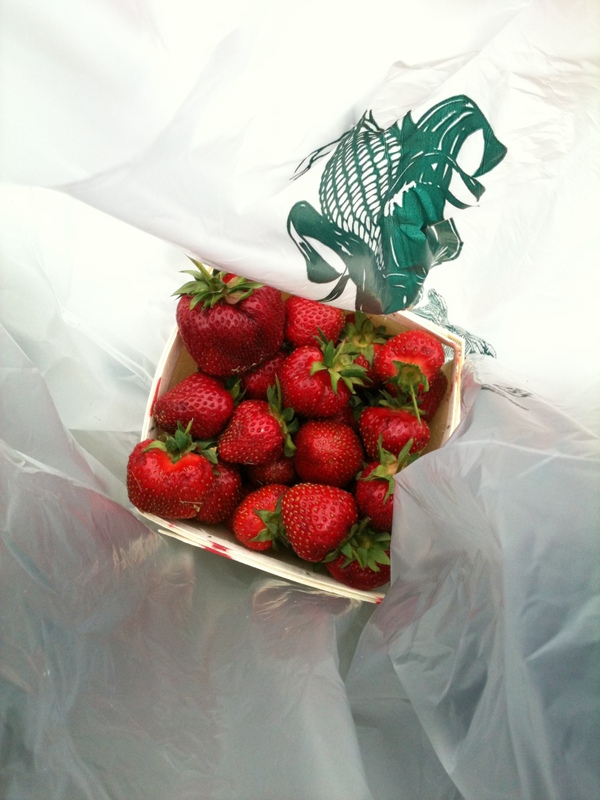 The above photo reminded me of last spring, as those were the first strawberries I bought from the farmers market. I used them to make a strawberry coffee cake that is perfect for breakfast on a cool morning, or with tea on a bright afternoon. I come from a line of Midwestern cooks and bakers, and treasure my grandmother’s self-published cookbook. I frequently page through the home-style recipes, reminiscing about the many meals I’ve shared with her and my mother. I rarely make the recipes as written though, as Crisco and white sugar aren’t popular in my kitchen. Instead, I adapted my grandmother’s recipe to use honey instead of sugar, and yogurt for moisture. 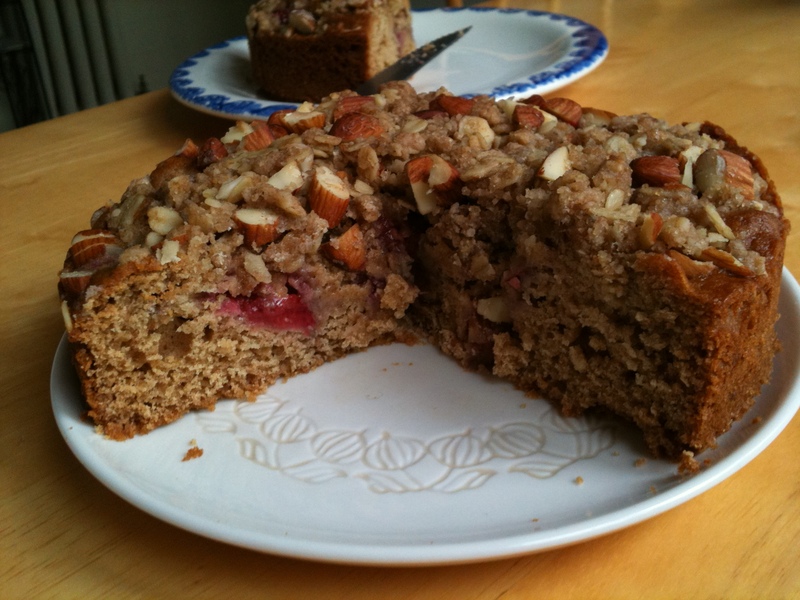 The resulting cake is sweet and floral, studded with jammy strawberries and toasted almonds. If you give it a try, leave me a comment letting me know how you liked it! Once the butter and honey are combined, beat in egg, vanilla extract, yogurt, and lemon juice. Mixture may look curdled but mix until mostly combined. Pour the batter into the baking dish and spread out to the edges of the pan. It will be sticky. Place strawberries on top of the batter and gently push each one down so that they sink in at least half way. This will help to distribute the batter. Combine the first four topping ingredients in a bowl. Use your fingers to press the butter into the other ingredients, resulting in a coarse meal. Once done, the size of the pieces of butter should be somewhere between peas and hazelnuts. Pour topping over strawberries and batter. Cover the entire top of the cake as the honey will cause the batter to brown more quickly than a sugar-based batter would.